"An Aftermath of a Beach Party No.1, No.2 & No.3", was initially commissioned by Zouk Out 2010, an annual dance music festival that was held in a touristic theme-parked island Pulau Sentosa in Singapore. 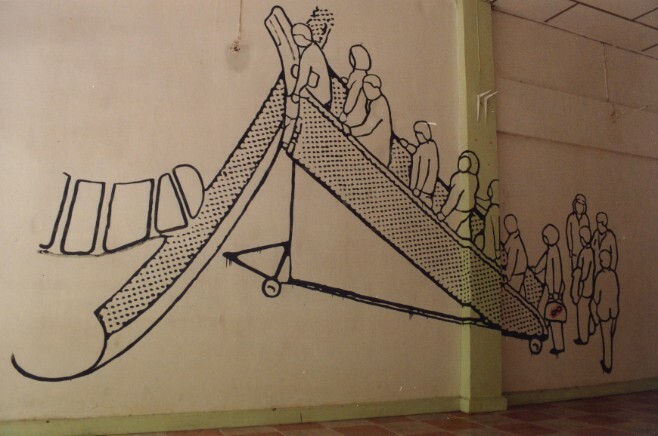 The artworks were originally proposed as an edition of three structures made out of mainly bamboos, after which inflated latex balloons and fishnets were hanged on the hand-bounded structures taking the form of a ball (Untitled Form No.1), a canopy (Untitled Form No.2) and a phallus (Untitled Form No.3) collectively to symbolize the generative power of nature. I had installed the works on the day itself and had attended the music festival throughout the evening, while I had also observed and was likened by the party revellers' responses to the installation, taking pictures, touching, getting all excited and over-interacting with the bamboo installations. As the crowd swelled and some balloons bursts, I left the party after the Midnight Juggernauts' last songs. In the next morning, the works arrived back in my studio, and to my apprehended surprise, two of the smaller sized works were totally destroyed over one night of irresistible party revelry. The apologetic festival producer then related to me the 'midnight madness' in the dance party and the exhaustive attempts to 'secure the safety' of the works from a disparaging dance crowd, what caught my attention was her closing remarks,"The [other] artist's artwork had even lost a leg", as if it is a natural circumstance that artworks are bound to be destroyed in such a scenario that is normally outside the context of 'art'. I accepted the outcome and find it amusing and yet spiteful of this incident. I begin to think that perhaps I had made works that are not suitable for the event and wanted to re-address the nature of these works and its demised outcome. My intuition was to try to reshape the mangled torsos into compact 'crushed' forms to give a sense of augmented tension between the materiality of the works and its actual destruction. Most of the original bamboos were used to re-make it, a portion of it are kept as recycled materials for a near-future project with (more) bamboos. To me it is a personal response to the callous interaction of an overnight's dance crowd towards 'art', not that this 'art' is all so important in such a music dance party context. My point of it is, what it means to have a 'cultural' interaction in a social event like a dance party and how can one's art connect and relate itself to communities or realms outside of art? How does one's art accommodate failure and what can I learn from the truth of 'failure' ? As an attempt to explore the transformative possibilities of art-making, these works are re-actualized to chart the changing shifts of an aesthetic process that is collaterally linked to my on-going intellectual progress and methodologies about art. The artworks are made with special thanks to; Yuzuru Maeda and Joanne Chua. "An Aftermath of a Beach Party No.3", mixed-media object, dimensions variable (approx. 48cm by 40cm by 40cm), Dec 2010. "Prop-Agenda Blab" is a project based on a two months artist's residency with the Alliance Franciase in Bangkok. This project examines the nomadic notions of one's art making process. It explores the role of an artist as a 'global citizen', functioning within an excessive capitalistic 'global' order. 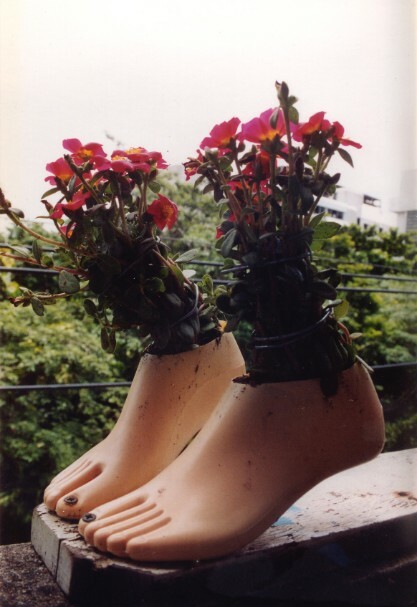 "Prop-Agenda Blab", (outdoor) installation in 'Cite Siam' art space, Alliance Franciase, Bangkok, Thailand, 2003. 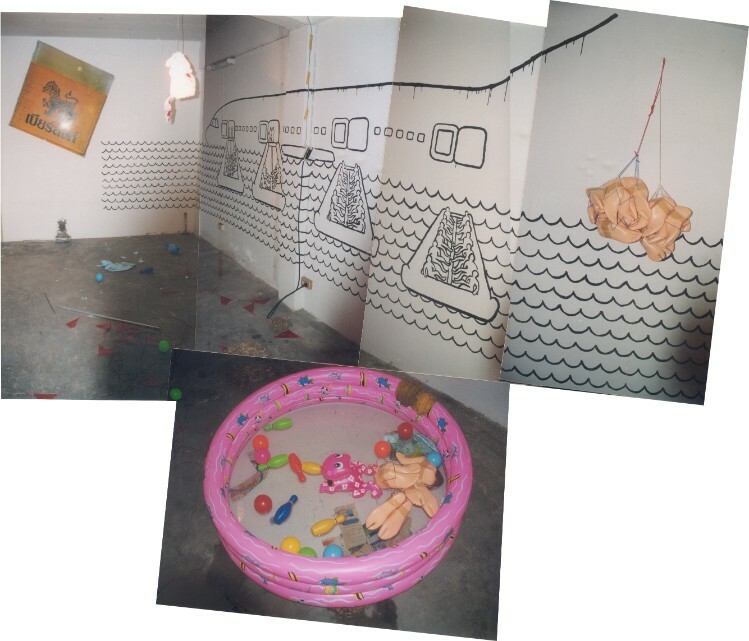 "Prop-Agenda Blab", drawing with emulsion paint and mixed-media installation in 'Cite Siam' art space, Alliance Franciase, Bangkok, Thailand, 2003.